Natural. Empowering. Multi Level Healing. Enjoy a deep and profound relaxation experience with an intuitively facilitated session. Sessions are provided in office or via distance healing for our global client. "The day we met...was the first day on the start of my healing journey. Truly. I feel like I can mark the time before that day and after. Those...minutes with you were like a breakthrough for me. But I know there is more work to be done! Thank you for the reminder that I need to take care of myself :)"
"Beautiful. Tansformative. Comforting. This experience guided me down the path I feel I have been set out for. 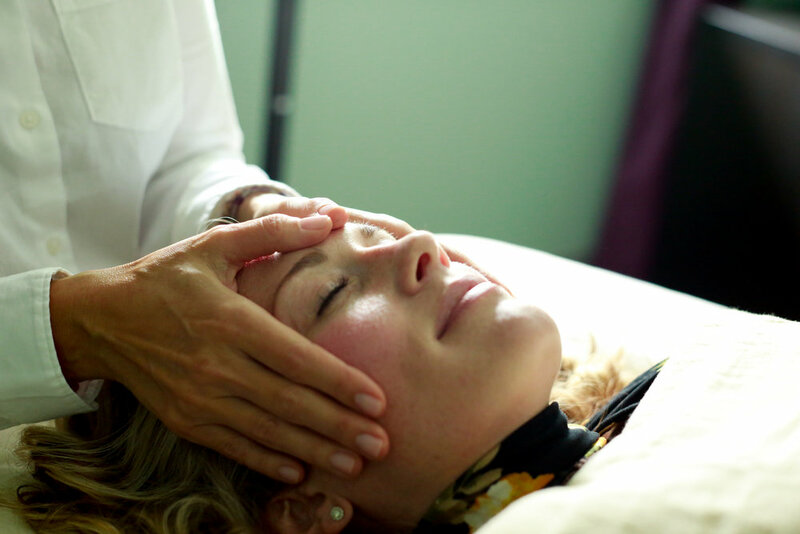 I loved learning the science behind Reiki and how it physiologically changes the detoxification system in the body. I would recommend this class to others because I feel that everyone needs to come to realize their own innate power and then they too can help bring about healing/change in their lives. I have gained such insightful knowledge from Sema that I know will be so valuable in my nutrition practice and with my own clients. After the class I feel calmer. More trusting of myself. Assured. I feel like my path has been validated. At peace. Educated." "Sema you are magnificent and I send my sincerest gratitude to you. Thank you for your wisdom and guiding patient love. You are so valued and appreciated." "Enlightening, peaceful, welcoming, joyful. I truly felt like I learned so much about myself, my classmates and the world. And now I have a tool kit to use in times of need. i.e. when I’m stressed, uncomfortable, etc. I had no idea what Reiki REALLY was. I feel so much more comfortable and able to explain it to myself and others. My favorite part of the class was Sema’s words of advice, wisdom, experiences. I also loved the meditation, conversations, Reiki techniques, kekko, ReiJu, class time. I NEVER got bored! The part I like the least was LEAVING…because for me I loved how I felt this weekend and the energy around me. I now need to create this energy and calmness in my own life. I will not resist it though..I will leave with love and good intentions. After the class I feel peaceful and READY for whatever comes my way. I will take it in, and let whatever is not serving me, go." Do you feel “blocked” in your life goals? Relationships, Abundance, Career? Outer life “blocks” are mirrors of our internal “blocks”. Jikiden Reiki is a multi level healing practice that brings the subconscious blocks to the surface for acknowledgement, release and healing. Do you need a simple way to manage your stress and stress related symptoms/disease? Jikiden Reiki teaches you a simple way to lower your stress response, reset and recalibrate your nervous system without complicated rules, rituals or equipment. Since you will own the technique you are empowered to practice at anytime, anywhere while enjoying the cumulative effects with consistent practice. Have you been told to align or balance your chakras? While we do not use the language of chakras in Jikiden Reiki. Chakras are a term and concept from Hinduism and Buddhism. The benefits are certainly the same of and opening and balancing energy flow in the human system.